Paradise Street appears in the 1841 census, separate from Paradise Row, but it is not entirely apparent where it was from the census. In fact the Rammell Report of 1852 refers to Paradise Street and clearly implies the eastern end of Huish. The general area was later known as Paradise and included much of Huish opposite Paradise Row and as far as Wellington Street. 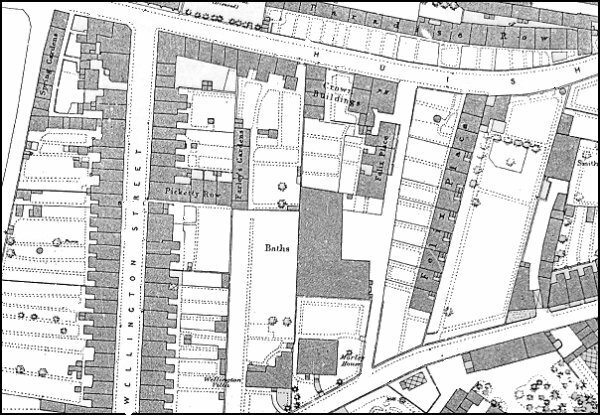 1886 Ordnance Survey showing Paradise Row at the top of the map - but where was Paradise Street?.